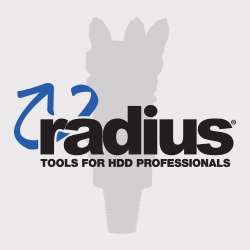 The Paddel II reamer from Radius is designed for clay and other sticky ground conditions. The minimized surface area prevents "build-up" while the thicker cutting plates offer maximum durability and stability by keeping the cutting edges engaged. The paddles are designed to not only cut effectively but also thoroughly mix and suspend the cuttings for better evacuation from the bore hole.